Charlotte Cornish's inspiration from places she has travelled to – most recently Marrakesh - are initial starting points for her compositions. Her artworks, however, are not direct representations of those places, but a mixture of elements from the seen world, and her emotional responses and experiences. 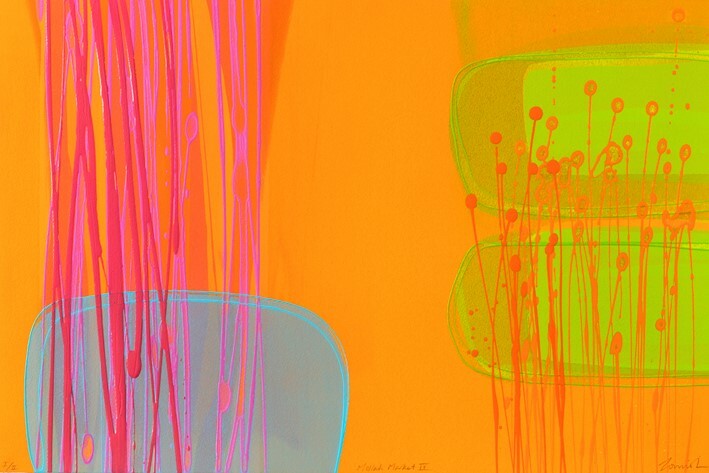 Charlotte continues to be fascinated with the unending possibilities of working with colour. 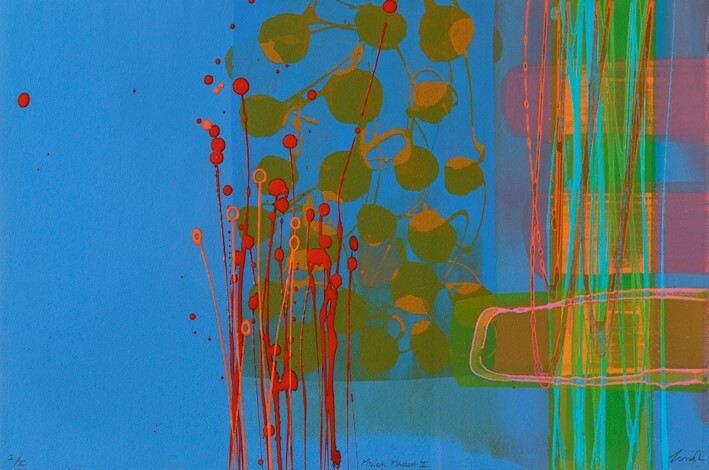 The mono prints/works on paper have been made using a mixture of a mono type technique using the screen printing process, and directly applied painted elements. These are often made in pairs, with both pieces looking similar but with unique qualities. The works illustrated below are intended to give you a taste of what the gallery has to offer, please email us on info@cambridgegallery.co.uk or call us on 01223 324222 to find out which pieces are currently available. Prices range from £195 - £950.